The Old Testament frequently uses wordplay to communicate its message. Samson’s riddle which involves honey in the carcass of a lion, uses wordplay. Some may not be aware that the Old Testament is also filled with various kinds of wordplay. Of course the wordplay occurs in Hebrew and, therefore, it is not usually possible to communicate it in our English Bibles, but translators give it their best shot when possible. For example, Samson’s riddle to his wedding guests in Judges 14:14, comes through quite well in most English translations. 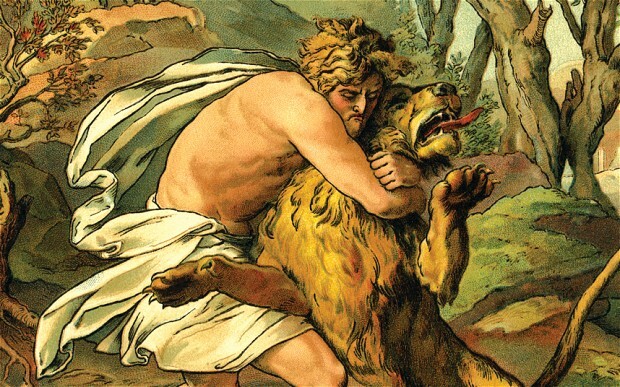 Based on his exploit of killing a lion and later discovering honey in its carcass, which he proceeds to eat, Samson poses the following riddle: “From-the-eater out-came eat[s] and from-the-strong out-came sweet[s]” (translation from Daniel Block, Judges, New American Commentary, p. 433). Although the Hebrew version of the riddle doesn’t rhyme (as Block’s and other English translations do), Samson does use assonance (the use of similar vowel sounds), alliteration (the use of same sounding consonants), and word repetition. Although the Book of Judges is not the only book in the Old Testament to play with people’s names, it does have some particularly amusing examples of paronomasia. One of these is found in Judges 3:8, 10. In this short story the Israelite judge, Othniel, battles Cushan Rishathaim from Aram Naharaim. Even in English we can pick up the obvious rhyme between Rishathaim and Naharaim. 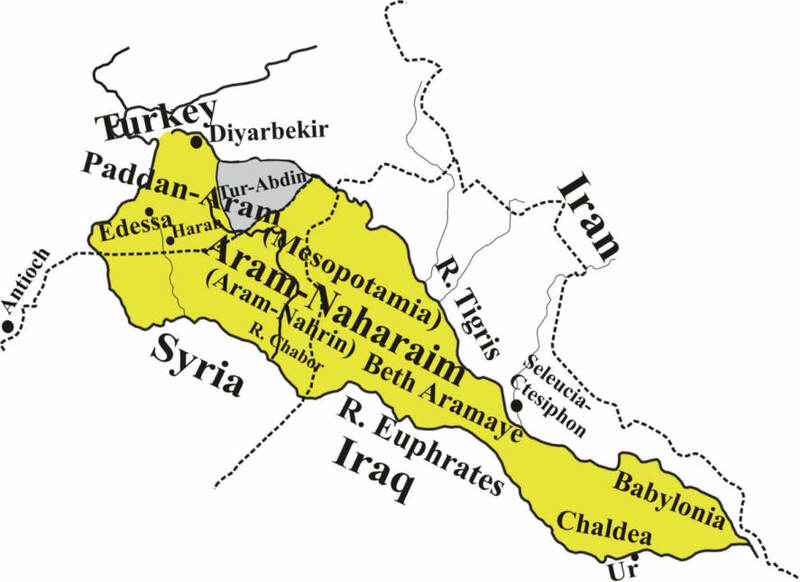 The NKJV spoils this rhyme by translating Aram Naharaim (which means “Aram/Syria between the 2 rivers”) as Mesopotamia. Besides the obvious rhyme which is a lot of fun to say (try repeating “Cushan Rishathaim from Aram Naharaim” about 5 times! ), the name Cushan Rishathaim also is a clever wordplay. The word “Rishathaim” means “doubly wicked.” Cushan may also mean “dark,” and so Cushan Rishathaim means, “the dark doubly wicked one!” Clearly this is not the name that Cushan’s parents gave him! Rather, it is a clever twisting or substituting of vowels to produce a pun that mocks their adversary. The Israelites, and their later Jewish descendants, were famous for making a pun on a name simply by changing a vowel or two. Such a device is similar to modern political cartoons that poke fun at a rival by exagerrating some characteristic of their opponent. Another example of this can be found in Judges 9 when a man named Gaal Ben Ebed strolls into the city of Shechem. Gaal Ben Ebed means “Loathesome son of a slave,” hardly the man’s real name. In cases like this, we will never know the real name of the individual, but we can take an educated guess. For example, by changing a couple of vowels, Gaal becomes “Goel” which means “redeemer.” Were the Israelites making fun of this man whose name may have meant “Redeemer” by calling him “Loathesome?” Remember that when writing ancient Hebrew (much like modern Hebrew) only consonants were used. Therefore, Gaal and Goel would look the same when written out. These examples demonstrate that making fun of a person’s name is not a modern phenomenon, it is a human phenomenon dating back many millennia. While these name changes are not easily detected in English, a good Bible commentary will help identify this use of wordplay. 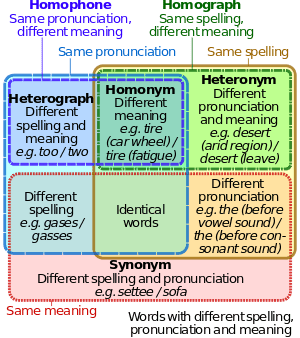 The technical terms for this kind of wordplay are homographs (words that look the same–“graph” meaning “to write”), homophones (words that sound the same but are spelt differently) and homonyms (words that look and/or sound the same but have different meanings–e.g., “right” and “write”). The prophets were well-known for using this type of wordplay. For example, when Jeremiah was called to be a prophet God says to him in Jeremiah 1:11, “What do you see Jeremiah?” The young prophet responds, “I see a branch of an almond tree.” The Lord responds, “I am watching over my word to perform it” (Jer. 1:12). In Hebrew the word for almond tree is shaqed, while the word for watching is shoqed. Since the almond tree was the first tree to bud in spring, the point of the wordplay is that God’s word will soon come to pass. Once again, only a good commentary will help the English reader, since this wordplay is not obvious in English. In this case, the words are homographs–they look the same–but they are pronounced slightly differently. 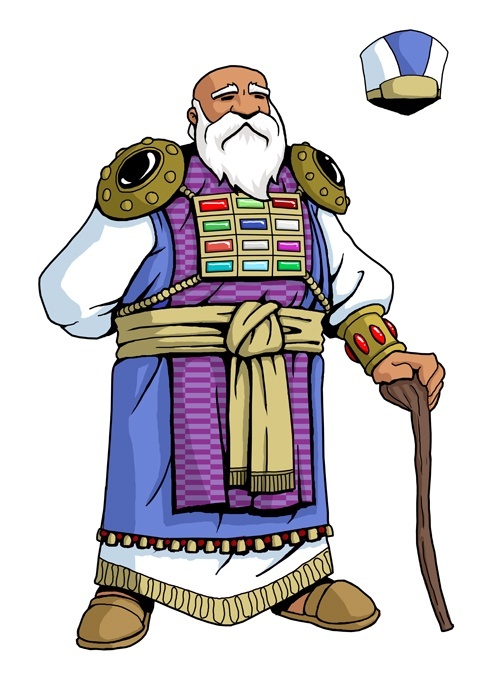 Eli the heavy high priest who did not honor the Lord. My favorite wordplay of this kind occurs in the story of Eli found in 1 Samuel chapters 1-4. We are told on two occasions that Eli has a weight problem. In 1 Samuel 2:29 the Lord accuses Eli and his sons of making themselves “fat with the best of all the offerings of Israel.” Later when Eli dies, the narrator tells us that Eli broke his neck when he fell backwards off his seat because he was old and heavy. The word heavy in Hebrew is kabed. It is from the same root as the Hebrew word for honor which is kabod. The story of Eli emphasizes that he has not honored the Lord (1 Sam. 2:30). Eli’s heaviness is directly related to the lack of honor that he has shown for God because it is his consumption of the stolen meat from the sacrifices that has contributed to his weight problem. The wordplay between kabed and kabod emphasizes the correspondence between the stolen sacrificial meat and the lack of honor given to God. But there is still more to this story. The word kabod which means honor, can also be translated glory in English. After Eli’s death, his daughter-in-law gives birth to a child that she names Ichabod (notice the word chabod, or kabod–it can be spelt either way—in this name). Ichabod means either “no glory,” or “where is the glory?” The child is named Ichabod because, as Eli’s daughter-in-law states, “the glory has departed from Israel” (1 Sam. 4:21-22). When we follow the wordplay through, we come to realize that the story is telling us that because Eli made himself heavy (kabed) and did not honor (kabod) the Lord, the glory (kabod) departed from Israel. 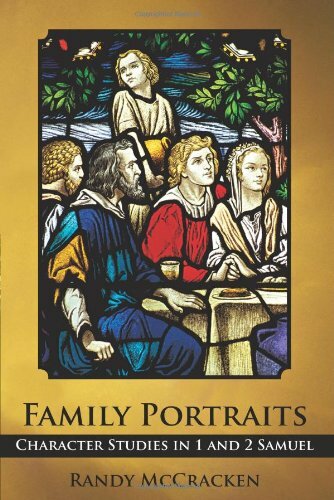 I explore this wordplay in more depth in my book Family Portraits: Character Studies in 1 and 2 Samuel. These are just a few examples of the different ways that the Old Testament uses wordplay. The discovery of wordplay in the Old Testament not only enhances our appreciation for its artistry, more importantly, it helps us to connect with the theology and messages in the biblical text that we might otherwise overlook. For those of you who enjoy a good wordplay, I would love for you to share some of your favorites from the Bible in the comment section below. Previous PostWhy Genre is Important in Bible StudyNext PostJephthah’s Vow (Part 1): What Did Jephthah Do to His Daughter? I don’t know if this qualifies as a pun, but I was studying the temptation of Christ in the wilderness where Satan dares Christ to jump off the pinnacle of the temple, “For it is written, ‘He will command His angels concerning you;’ and ‘On their hands they will bear you up…” (Matthew 4:5-6). Jesus replies, “On the other hand, it is written,’You shall not put the Lord your God to the test. '” I wondered if that was coincidence, or if Jesus was displaying a hint of a sense of humor by answering in this way. It’s not exactly a time for humor, but could be part of Jesus’ display of superiority over Satan’s misuse of the Word. That is why I googled Biblical punditry and found your website! Sorry it has taken me awhile to respond. Thanks so much for your comment and I’m glad you found the post interesting. With regard to your question in Matthew 4:5-6. The “hand” pun works in English perhaps but it doesn’t work in the original Greek. “On the other hand” is simply an English idiom used by the translators of whatever English version you are quoting. The word “hands” does appear in the Greek in Satan’s quote of Ps. 91:12. But Jesus does not use the word “hand” in his reply. Thanks again for you comment. God bless! My favorite is from the story of Babel. Bricks are “lbn.” (11:3) The people are making bricks to build a tower. So, God says, “Let us confuse their language.” Confuse is “bll” but in cohortative, it is “nbl.” (11:7) “lbn” – “nbl.” God is turning their bricks into confusion. In a story about the scrambling of language, there is an example of the very letters of words being scrambled to come to a new meaning. That is definitely a great one Micah. One that can only be seen in Hebrew. I love sharing it with my Genesis students. Thanks for sharing it with the readers here! There is an interesting wordplay around the life of Joseph (YOSePh), adding/more (YaSaPh), silver (KaSaPh), coat of many colors (PaSIM) in Genesis 37. Plus on the biblewheel pattern Genesis 37 is 15+22=37the 15th letter is Samech, which is present in these words. Thanks for pointing out the wordplays Greg. I’m not so sure about the Genesis 37 part however, since Bible chapters were not a part of the original text. The Bible was first divided into chapters in the 13th century. I am working through 1 Sam 18 this week and was wondering you could help me out with something. 1st there is a cool chiastic structure (20-26) with the middle points being in verse 22-24. Saul sends a message to David (22,23) and the David sends a message to Saul (23,24). Then David uses a word play “little thing”(הַֽנְקַלָּ֤ה) and “no reputation”(וְנִקְלֶֽה). Is David playing on words to point to his humility and humble origins. And since it is in the middle of the chiastic structure, would it be fair to say that David’s humility is a big idea that is being pointed out? Great question and observation! In doing a little research on these verses I noticed that Ronald Youngblood in his commentary on 1&2 Samuel in the Expositor’s Bible Commentary also notes a chiastic structure here, as well as a wordplay on “light thing” and “humble”. As you may be aware, these 2 words are from different roots קלל and קלה respectively. There is definitely a wordplay going on and I do agree that since it occurs in the middle of the chiastic structure it is certainly being highlighted. In case you haven’t read Youngblood’s comments, he also notes the irony in the use of “pleased” (right in one’s eyes). Saul is “pleased” because he thinks this is a way to get rid of David and David is “pleased” because this is a payment he believes he can make. Thanks for reading my article and thanks again for the good insight and question!